Francesco Firano, the owner and founder of hacked Italian cryptocurrency exchange BitGrail, has been sentenced to return as much of the assets to his customers as possible. Scans of the court decision were released by the Bit Grail Victims Group (BGVG) on Medium on Jan. 28. The court ruling explains that “it was the BitGrail exchange that [because of a software flaw] actually requested to the node multiple times to allow the funds to leave the wallet” and “not the Nano network that allowed the multiple withdrawals. Furthermore, the exchange also reportedly stored all of its Nano cryptocurrency holdings in a “hot wallet,” which compromised its security. The court notes that in July 2017, 2.5 million Nano were stolen from the exchange, and that Firano has been aware of it and announced that the involved exchange accounts have been blacklisted on Twitter in the same month. According to the ruling, in October of the same year — three months later — another 7.5 million Nano was stolen. In December 2017 Firano converted the central wallet into a cold wallet and the exchange’s activity became reportedly intermittent. Prosecutors informed the court that Firano deposited a total of 230 Bitcoins (BTC) in his personal account on a cryptocurrency exchange between Feb. 2 and Feb. 5 in 2018, days before announcing the loss of the stolen assets. 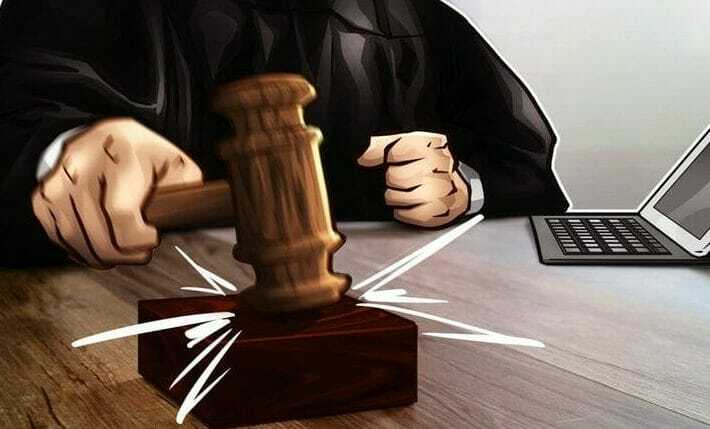 As Cointelegraph previously reported, two United States law firms filed a lawsuit against the developers of Nano as well as BitGrail. The lawsuit alleges that Nano and “key members of its core team” violated federal securities laws and directed investors to open accounts and place funds in “little known, and severely troubled” Italian cryptocurrency exchange BitGrail.